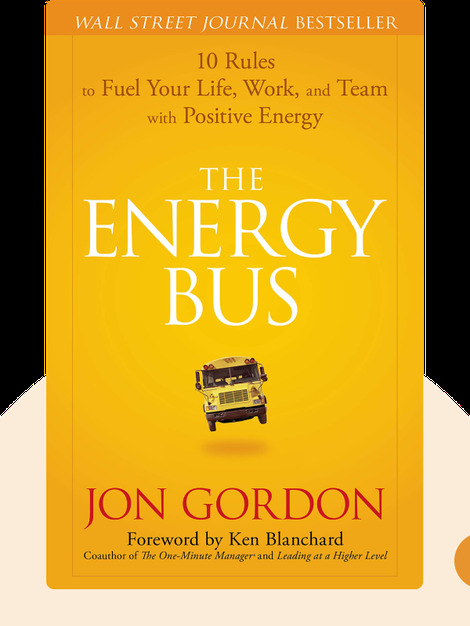 The Energy Bus (2007) is a handbook to positive energy and long-term success in your personal and professional life. These blinks are full of practical advice on how to cut out negative feelings, replace them with positive thoughts and fuel your life journey with committed people and a can-do outlook. 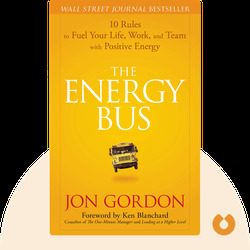 © Jon Gordon: The Energy Bus copyright 2007, John Wiley & Sons Inc. Used by permission of John Wiley & Sons Inc. and shall not be made available to any unauthorized third parties. Jon Gordon is a leadership and teamwork expert as well as bestselling author. He regularly shares his knowledge at conferences and has worked with a number of organizations, including The Los Angeles Dodgers, Dell, Southwest Airlines and BB&T Bank.